Today and this week only, we are offering a super rad giveaway with some of the coolest t-shirts and tanks I've seen. I own a few of them and they're so comfortable and hot. Perfect for every day use and of course amazing when training. Not only will there be 3 WINNERS, each winner will select 2 of their favorite t-shirts/tanks. If you see how cute they are, you may just want to get a few now in the mean time. 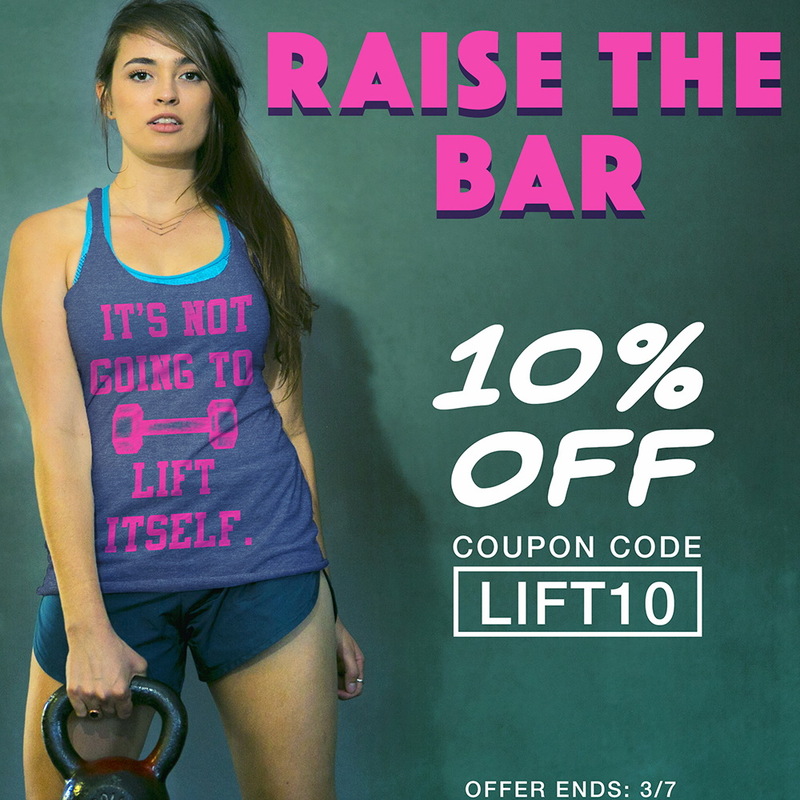 They have some manly ones too for the men out there for 10% off for a limited time. Link below. Like the Lauren Brooks Facebook Page and the pinned post. Comment and share or tag your friends. Extra entries when you share or tag your friends! So easy! They've created a coupon code exclusively for my readers/followers see below if you want to snag one for 10% off. Sale Info: Exclusive coupon code for Lauren Brooks followers. 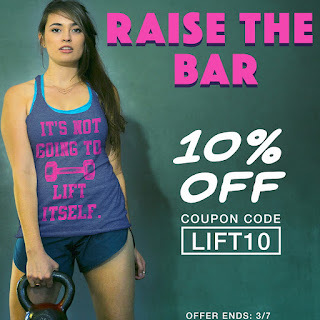 The coupon LIFT10 will give them 10% off their order, and will be good until 3/7. Each winner will get to pick out two free shirts of their choice from ChinUpApparel.com.